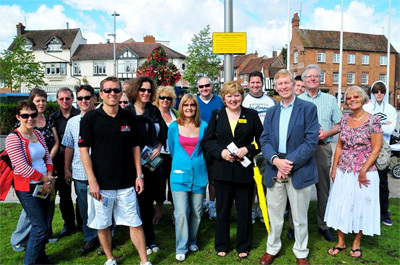 Award-winning guided walks around historic Stratford upon Avon 365 days a year - even Christmas Day! The ideal way to discover Stratford, its history, attractions, and fascinating relationship with William Shakespeare. Highly acclaimed evening ghost walk around the historic streets of Stratford upon Avon. Join Mib, Vincent, Blake Barrington, Jocasta or Josiah Grubb for an entertaining walk around the town to discover the buildings where there are tales of witches, ghosts, murder and misery. Enjoy an evening cruise in Stratford on the beautiful River Avon with ghost stories, magic and mind-reading with the Man in Black or Vincent - professional magical entertainers and members of Equity. A gentle cruise along the beautiful River Avon with stories of Stratford, old fashioned sayings and snippets of Shakespeare, wrapped up with a little magic. Member of the Magic Circle to entertain, mini bar to refresh and riverbank scenes to delight. Duration approximately 1 1/2 hours. Cruises run on selected dates throughout the year with private cruises for groups by arrangement. As you walk in Shakespeare's footsteps through the historic town, see the Shakespeare Houses, 15th century timber-framed buildings, Grammar School (where Shakespeare was educated), Royal Shakespeare Theatres, Holy Trinity Church and much more. Hear stories of fires, plague, medieval cures, old fashioned sayings and history of the town. The walk is interesting, informative and entertaining. Discover favourite tea houses, pubs, shops and restaurants. Don't forget your camera! No need to book, just turn up on Waterside, opposite Sheep street, near the Royal Shakespeare Theatre. Mon, Tue, Wed, Sat & Sun at 11am. Thur*, Fri, Sat & Sun at 2pm. (*from 2013, the Thur walk will be 11am not 2pm). Christmas Day at 10.30am. Wheelchair friendly. Dogs are welcome. Duration approximately 2hrs. Adults £5, students & over 65's £4, children (under 16) £2. Customers are given a ticket with 5 tear-off vouchers to save money in Stratford at specially selected shops, restaurants, pubs, coffee shops and attractions - including the Shakespeare Houses, Butterfly Farm and Bancroft Cruisers. Stratford Town Walk Guides are available for private walks, group walks, and to join coach parties for panoramic tours of Stratford or the Cotswolds. Stops for refreshments, visiting attractions or shopping can be arranged. Highly acclaimed evening ghost walk around the historic streets of Stratford upon Avon. Join Mib, Vincent, Blake Barrington, Jocasta or Josiah Grubb for an entertaining walk around the town to discover the buildings where there are tales of witches, ghosts, murder and misery. For example, the witch who lived in a slum, the 17th century haunted tearoom and the ghost at the Royal Shakespeare Theatre. The guides are entertainers or professional magicians/members of Equity and deliver the ghost walk in their own particular style. It promises to be a ghostly and magical evening. Be afraid, very afraid.... Mon, Thur, Frid & Sat evenings at 7.30pm. Duration 1 1/2hrs. Walk starts on Waterside, opposite Sheep Street and near the Royal Shakespeare Theatre. To ensure availability on this popular walk, please telephone in advance, ideally before 6pm, on 07855 760377. Adults £6, children (under 16) £4. Customers are given a ticket with 5 tear-off vouchers to save money in Stratford at specially selected shops, restaurants, pubs and attractions - including the haunted 'Old Thatch Tavern' public house and Shakespeare Hotel. Enjoy an evening cruise in Stratford on the beautiful River Avon with ghost stories, magic and mind-reading with the Man in Black or Vincent - professional magical entertainers and members of Equity. Stratford Ghost Cruise is a unique experience in Stratford upon Avon. The gently flowing River Avon with its abundance of wildlife provides a delightful backdrop to charm the senses. A costumed guide presents a blend of stories enhanced with magic and mind reading, stimulating the imagination. A brief interval during the cruise provides the opportunity to stretch the legs and re-visit the bar. Boarding from 7pm, sailing at 7.30pm. The boat is covered, centrally heated, facilities and has a mini bar to raise the spirits! Duration approximately 1 ½ hours. Cruises run monthly throughout the year, with private cruises for groups by arrangement.